All the activities lean on professors, students and partner companies. There is a long tradition cooperating with Industry. Research contracts were developed with more than 40 institutions, developing projects for industry for over 3 decades. In most cases, contracts with the same company concatenated, producing a continuous collaboration along time. The companies that have contracts with us are associated to CEI-UPM. 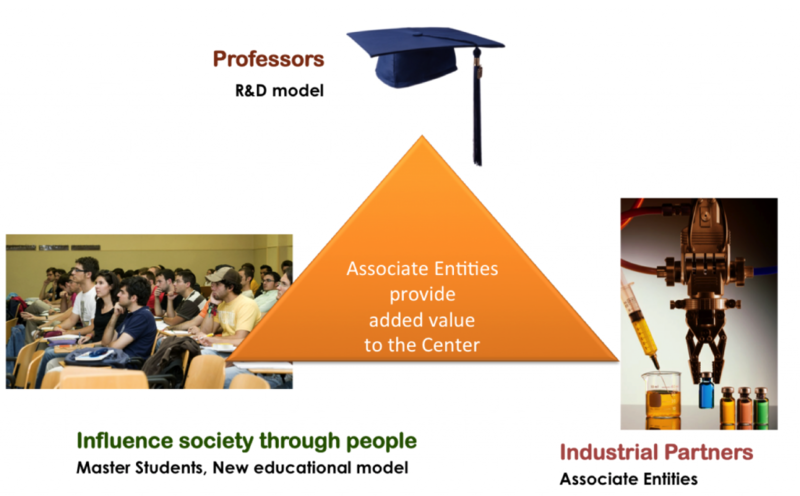 The center is not isolated from the industry; therefore, most of our research activities (basic or applied) are transferred to enterprises to become products or services. THE MEMBERS OF CEI-UPM HAVE A LONG TRADITION OF WORKING IN RESEARCH PROJECTS IN COOPERATION WITH INDUSTRY AND OTHER RESEARCH INSTITUTIONS. The activity of the Industrial Electronics Group, formerly known as Division de Ingeniería Electrónica, has been well recognized for years in the fields of Power Electronics, Instrumentation and Microelectronics. They have participated in numerous research projects with companies in different fields like telecommunications (mainly with Alcatel in the 90s), military (with INDRA and EADS-CASA), aerospace (with CRISA, TECNOBIT), home automation (with FAGOR), CAD tools (like LEDA, ANSOFT) and basic electronic industry (like ENPIRION, CELESTICA, TGI). During the last 10 years the group has been qualified as one of the top-ten research groups of UPM in its internal quality plan. A complete set of activities during the last years can be found at http://www.upm.es/observatorio. The activity of the Power Quality Group of the Department of Electrical Engineering of ETSII-UPM is dedicated to the simulation of low frequency conduced perturbations in large power systems. This group develops research projects with important electrical companies such as Red Eléctrica de España and IBERDROLA since more than 10 years.